Internationally relied upon by medical practitioners for unparalleled focus on adverse effects and reactions, this succinct clinical reference is an essential drug-safety tool for patient care, particularly for those on many prescriptions. 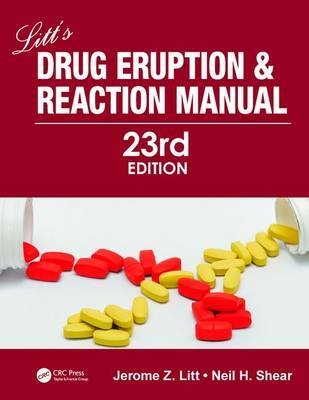 This new edition has been revised and updated throughout as a quick reference to the most important information required: summaries of numbers of reports and incidence for reactions; clinically important and potentially hazardous drug-drug interactions; categories of adverse drug reactions, eruptions, and cutaneous reaction patterns; and essential reference information on prescription and over-the-counter drugs, as well as biologics and supplements. "This is a superb reference for determining which drug(s) may be the most likely to cause a rash. It is quick and easy to use. With the plethora of new drugs coming out daily, it is the only way to stay current on potential skin reactions that may result...This is by far the best book on drug eruptions...you are crazy to not own this book if you are a physician, especially a dermatologist! I use it every day. A thousand thanks to Dr. Litt and his new coauthor, Dr. Shear, for making this wealth of information available in an exceptionally well- organized, thoughtful manner."